NextAnxiety About Sleep: Could Herbal Medicines Help? Sleep onset insomnia—trouble falling asleep at the beginning of the night—has been one of the biggest challenges in my life. By now, having gone through insomnia therapy and spent decades observing how changes in behavior and the environment affect my sleep, I know what I need to do—and what not to do—to get the best night’s sleep I can. If you’ve got sleep onset insomnia, here are 8 do’s and don’ts that may help to regularize your sleep. Get up at the same time every day, including on weekends. This one of the hardest—but most important—habits to adopt, and frankly it’s one I struggle with to this day. Especially after a late night or two, it’s hard to stay the course and get up at 6 a.m. But if I don’t stick pretty rigidly to what I’ve decided is the best rise time for me, if I allow myself more than a little flexibility, my sleep goes off the rails. Making up lost sleep at the beginning of the night, rather than at the end, is by far the easier course. Sign off all devices with screens at least an hour before you usually go to bed—and that includes eReaders and smartphones. If you’re a news junkie like me, watching out for headlines so you can read new stories the minute they come out, this can feel like major deprivation. Yet the light emitted by these screens has been shown time and again to interfere with melatonin secretion, delaying sleep onset—exactly what none of us wants. Get regular exercise and eat regular meals. Aerobic exercise late in the afternoon works best for me, and adhering to my daily workout routine has become so ingrained that when I miss my exercise fix my body doesn’t feel like winding down at night. Regular exercise and regular meals—in fact, regularity in almost all activities because it helps regularize internal circadian rhythms—will likely help you sleep better. Pay attention to the temperature of your bedroom and make adjustments early if necessary. The ideal temperature for sleep is a few degrees lower than what you’re comfortable with during the daytime. So, particularly as research suggests that people with insomnia may have trouble down-regulating internal body temperature, get the window fan going well before bedtime so that by the time it comes you’re not too hot to sleep. Don’t watch the clock at night. Nothing triggers my anxiety about sleep as much as glancing at the clock at, say, 1 a.m. and realizing I’m not sleepy yet. This is one association—between the clock registering time late at night and trouble sleeping—that I’ve never gotten rid of despite my improved sleep. Turning my clocks toward the wall after about 10 p.m. solves the problem, and it might help you sleep better, too. Don’t jump in bed the minute you get home even if you get home late. For me, heading to bed right away gives my brain permission to trot out all the unfinished business of the day and chew on it while I toss and turn in bed. If you get home late, put on your pajamas, brush your teeth and so forth. But then take 20 or 30 minutes to unwind—read a book or listen to music—before you hit the sack. Don’t stay in bed if, after 15 or 20 minutes, you find you can’t sleep. For me, remaining in bed almost always results in continuing wakefulness, exactly the opposite of what I want. Instead, get up and do some quiet, low-stimulation activity—page through catalogs, make a travel list, cull your bookshelves—until you feel sleepy. Then head back to bed. Don’t beat yourself up—when you’ve adopted all the sleep-friendly habits you possibly can—if you’re still feeling wakeful when your normal bedtime comes around. There’s a genetic component to insomnia, and there are genetic factors that determine sleep onset latency. One day, it may be possible to alter gene expression and so improve sleep. For now, acceptance of the occasional bad night is something it pays all of us to learn to do. 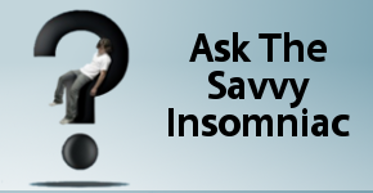 If sleep onset insomnia is your problem, what behaviors seem to make it worse and which behaviors, if any, seem to help? I’ve written comments on this page before. Last year I had a period of insomnia that lasted a couple of months. It got so bad I’d only sleep 2-3 hours a night or sometimes nothing at all. I followed your plan for sleep restriction and that, together with changing my thinking, really helped me. So I wanted to thank you! I also wanted to tell you and anyone who reads this what also helped. After finishing sleep restriction I still sometimes had nights were I could not fall asleep. I started to realize the connection between drinking enough water during the day and being able to fall asleep. For me the minimum is 1,5 liters. 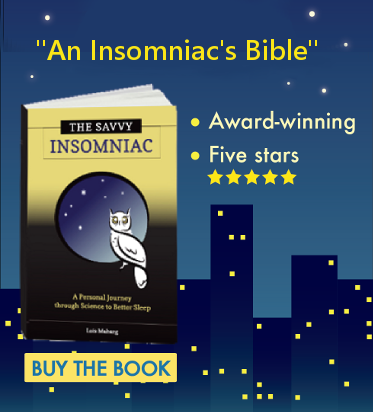 I’ve read a lot about insomnia, but I’ve only found one page online that linked insomnia with dehydration. I know that the reasons for insomnia are many and that this is not a solution for everyone, but I was wandering if you have ever read or heard about this link? To fellow insomnia sufferers: drink enough water during the day! At least it won’t hurt you! Apologies for being so late with my reply, and thank you for sharing what helped you to manage your insomnia. Drinking plenty of water every day is certainly a healthy habit for many reasons. I hadn’t heard about dehydration being associated with insomnia. But now that you’ve raised the issue I’m going to look around and see if I can find studies on it. If I turn up anything of interest, it could be a topic I’ll want to blog about in the future. Thanks for the suggestion!